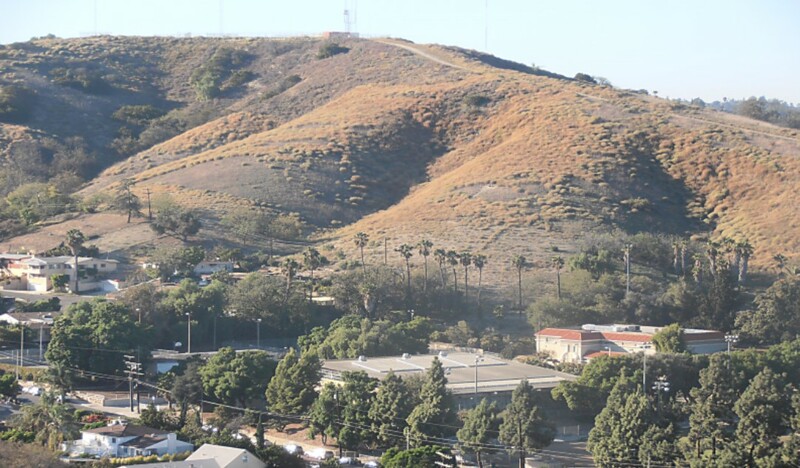 Most of us who live in El Sereno are aware of the growing presence of the tumbleweeds on our hills and yards and on the open land that we enjoy here in here in our community. But we have not yet realized the growing threat that they represent as this “Russian Thistle” roots into our soil and spreads it’s countless seeds. How did this invader from the Russian Steppes become a symbol of the American west? This opportunistic Eurasian species sneaked into this country almost a century and a half ago. Round and lightweight, once it dries and breaks from it’s roots, can roll for miles, scattering 200 thousand seeds along the way. Come springtime a new crop will grow. Bone dry and filled with air pockets, dead weeds can ignite by a discarded cigarette- a hazard worsened by persistent drought. thrive where they can get a foothold in loosened ground, like vacant lots; but have trouble taking root in cultivated lawns. The roots stretch out and down for 6 feet and can grow in any kind of soil. It got to this country around 1873 in contaminated flak seed from Russia that was grown in South Dakota. And in 10 years had reached California already. By 1959 it was growing in every state except Alaska and Florida. It is a fast growing weed and almost impossible to eradicate. Hacking them with a hoe on a weekly, if not daily basis will only keep them at bay. Herbicides and burning will also help. But this weed is always a step ahead. I would suggest that those who are concerned as I am will go to the internet and see what people are doing worldwide. It is thriving in the dry parts of Europe and Asia. Canada, Australia, Argentina, South Africa have all been conquered. I am presenting this to the public, hoping that the City, the fire Department and all those agencies keeping us safe will start their own programs to educate the community and come up with effective measures to alleviate this menace. Just look up to the Ascot Hills and see how it is spreading.